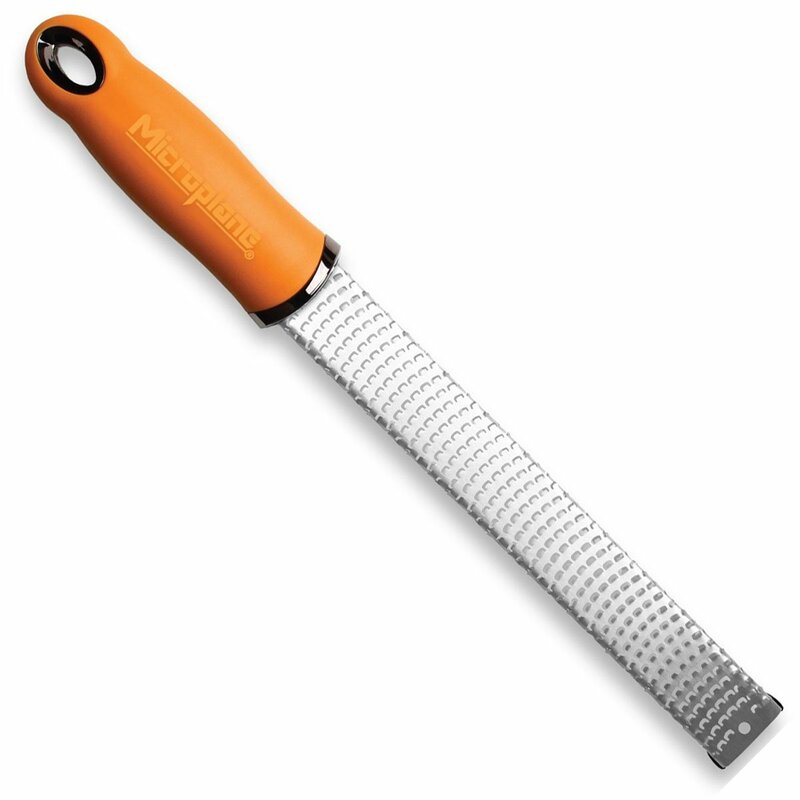 Color: Orange The Microplane Premium Orange Zester/Grater is perfect for zesting citrus,grating hard cheese, chocolate, cinnamon, onion, garlic, and ginger.Constructed out of 4/10 stainless steel with patented razor sharp edges.Premium handles are ergonomic, and soft to the touch. Non-slip rubber feet addstability and protect your plates. Each grater comes with it's own plasticsafety cover. Dishwasher safe.